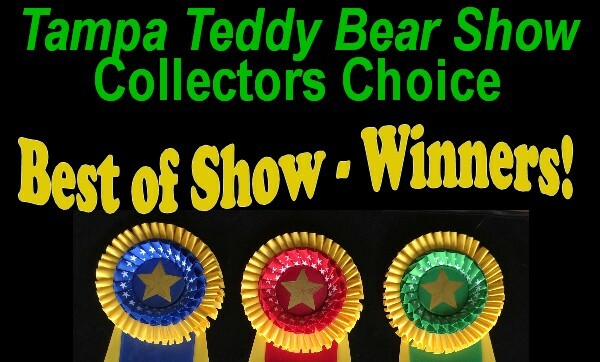 19 bears compete for Best of Show! Each hand made by the exhibiting teddy bear artists. Tables held the bears all lined up for the voters to see. 3-way tie for Fourth Place. Skipper Root, Bev White and Pat Fairbanks. 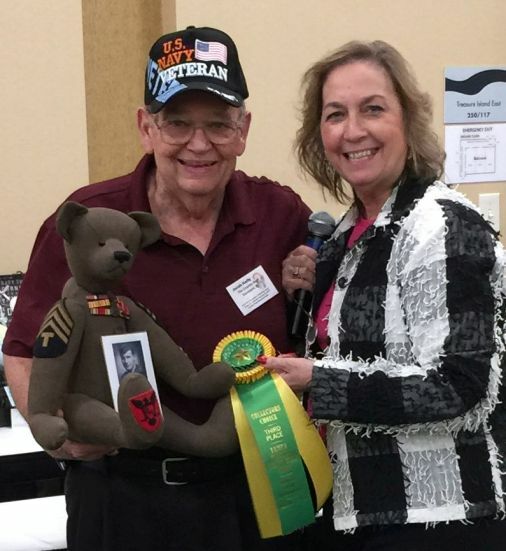 Third Place went to Josiah (Jay) Hadley of The Country Bear living in Florida, for his large bear, made to honor his father-in-law which included a photo, his ribbons and made from his uniform material. Everyone applauded loudly and as you can tell by the smile on his face; he was very happy! 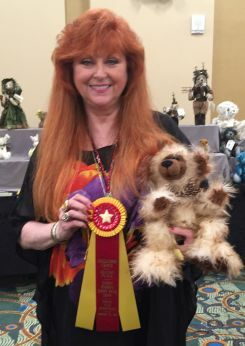 Lin Chamberlain (Pookie Bears) from Indiana, won Second Place. 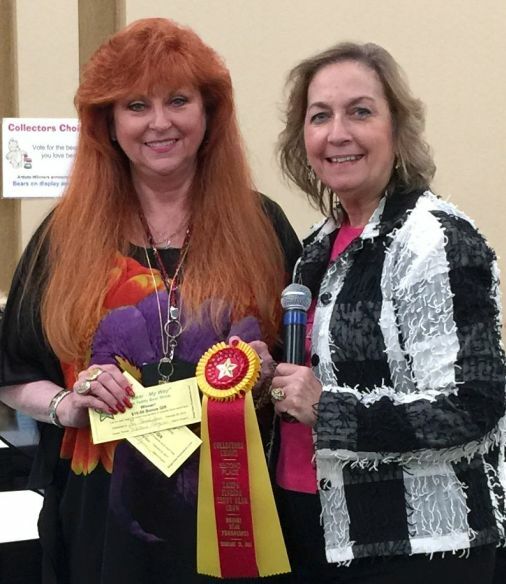 She did not have her bear Scruffy in hand when the ribbon and cash awards were presented. 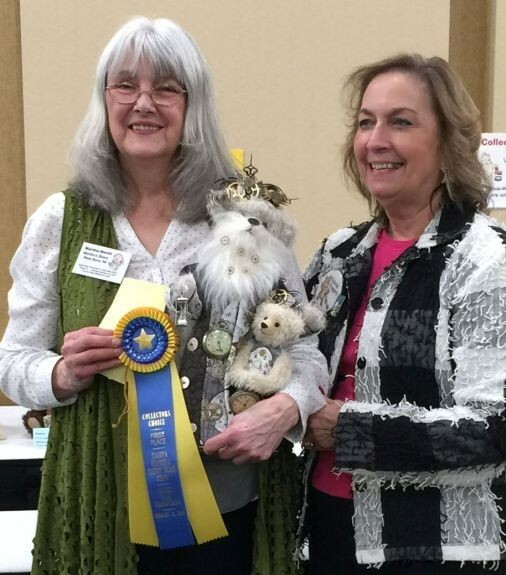 First Place went to Martha Burch, Martha's Bears from Wisconsin. 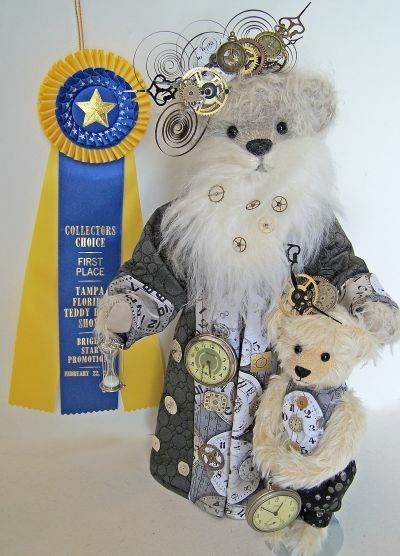 Father Time and TickTock was her winning entry. 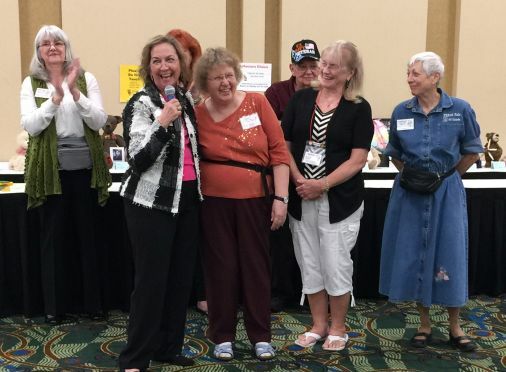 Congratulations to all who entered and all who had won!